The Siem Reap Hostel is a luxurious hostel, designed for travellers who want the comfort of a nice hotel, with the atmosphere of a friendly back-packers.We have a lively poolside bar and restaurant, and plenty of common areas making it easy to socialise and meet other travellers, or get away from it all and enjoy the peace and quiet, overlooking the beautiful grounds of the Wat Dam Nak temple.It is only a five minute walk from all the action of the Old Market and Pub Street. 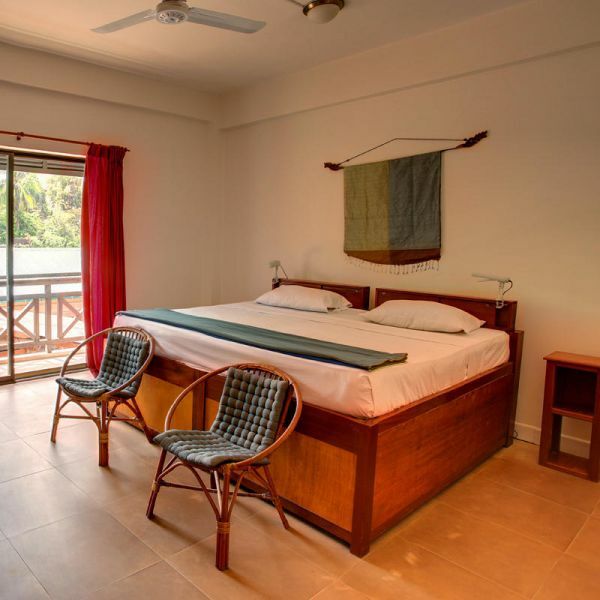 With all the trimmings like Free fast WiFi, air conditioning, hot water, private balcony and private ensuites in all rooms.The Siem Reap Hostel is owned and operated by Australian and Cambodian nationals. * FREE PICK UP service anytime - send us your airport, bus or boat arrival details* Air conditioning in all rooms* FREE Wi-Fi in all rooms and areas of hostel* HOT WATER in all rooms* Extensive electronic security, big backpack size lockers under every bed (padlocks for $1) and night guards for your security* FREE computers in lobby* Sparkling undercover pool, cleaned every day* A CINEMA screening daily* A beautiful balcony room for YOGA and PILATES several classes weekly* 24 Hr check-in* Room servicing and cleaning every day* Chill out rooms and book swap library* TVs in all private rooms with over 60 channels* Free pool table, foosball, giant Connect 4 game, heaps of boardgames* Weekly entertainment including, BBQ, $1 Dacquiri pool party, pool comp and a local food tour. * Bar and Restaurant with Western and Asian meals, happy hour specials every night * FREE BIKES* Laundry Service (subject to water quality)* Trustworthy tuk tuk drivers who can take you anywhere, give great advice and won't rip you off* Tour Desk to book onward travel or sightseeing around Siem Reap* Massage and Day Spa facilities in-house* The hostel overlooks beautiful Wat Dam Nak pagoda* Best music playlist in South East Asia with the latest tracks, remixes and classics* Guitar for those who wish to serenade their friends or just keep their chops up.- LOW SEASON: JULY 2013 - SEPTEMBER 2013 -Basic Dorm Room (18 bed mixed): $5 per bed per nightDeluxe Dorm Room (6 bed mixed or female): $6 per bed per night Private Room (2 people): $10 per person per nightPrivate Room (3 people): $10 per person per night- HIGH SEASON: OCTOBER 2013 - NOV 2013 / MARCH 2014 - JUNE 2014Basic Dorm Room (18bed mixed): $5 per bed per nightDeluxe Dorm Room (6bed mixed or female): $7 per bed per night Private Room (2 people): $14 per person per nightPrivate Room (3 people): $12 per person per night- PEAK SEASON: DECEMBER 2013 - FEBRUARY 2014Basic Dorm Room (18bed mixed): $6 per bed per nightDeluxe Dorm Room (6bed mixed or female): $8 per bed per night Private Room (2 people): $15 per person per nightPrivate Room (3 people): $13 per person per nightPlease note ALL of our beautiful Deluxe rooms can accommodate 1-3 people. IE If you are a couple and you can only see a triple room available BOOK IT! We'll sort it out when you get here. You wont be disappointed.We also offer long term rates for volunteers. Check with management on arrival.Buffet breakfast is included for private room guests, and is $2 per person for those staying in dorm rooms. The breakfast includes tea, coffee, juices, toast, pancakes, fresh fruit and cereals.See you soon!Gus, Driess, Roth and all the Siem Reap Hostel team BEWARE TUK TUK SCAM! Other guest houses pay tuk tuk drivers a commission to take you to their hotel, usually because they are far away out of town. Tuk tuk drivers often give out false information to try and convince travellers to stay somewhere else, for example they may say that this hostel is full. They may also try and claim that there is a second Siem Reap Hostel. 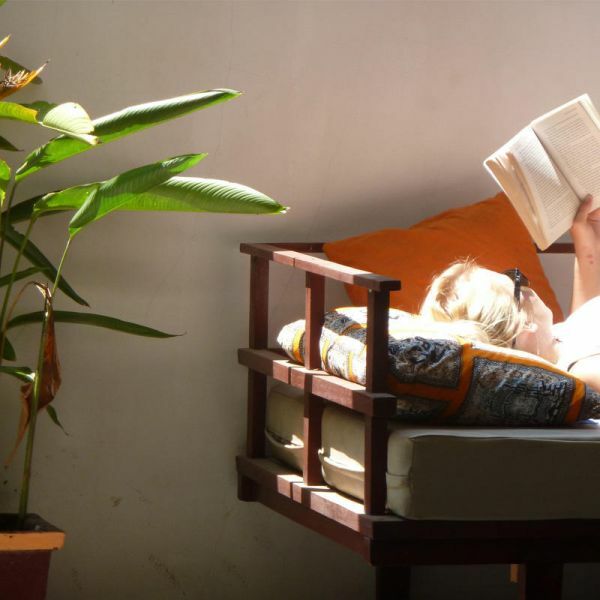 There is only ONE Siem Reap Hostel. We offer a FREE pick up service, please contact us with your arrival details by bus, boat or airplane and we will have free transport ready and waiting for you at any time of the day or night. Once you have booked just look out for the sign with your name on it!And you can check our pics on this website so you know what we look like. 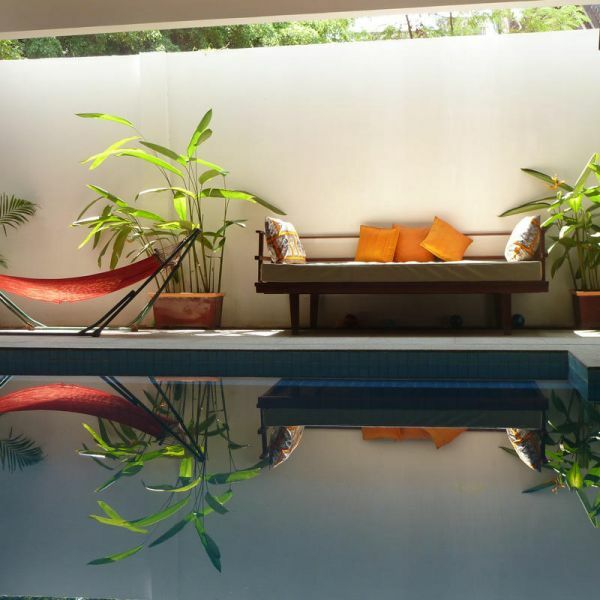 The Siem Reap Hostel is located 5 minutes walk from the Old Market on 7 Makara Street. This is close to the corner of Angkor School Rd and Wat Bo Road, backing onto the Wat Damnak temple complex. There is only one hostel called 'The Siem Reap Hostel' - be prepared for tuk tuk drivers to try and take you elsewhere. We are next door to the Golden Temple Hotel (a bright orange building).Most bus stations are about 10 minutes away by tuk tuk, the airport a little further. Please contact us to arrange transfers from the airport, bus or boat stations free of charge. We will do our very best to have a driver there waiting for you with a sign, however the bus companies will try anything to get you to one of their commission paying hotels. If you are walking from town cross over the bridge at the Old Market, go straight through the round about and cross over one intersection. We are another 200m up the road on the right hand side.See the pics on this website so you know what you are looking for.